As demand for super-insulated and airtight building structures grows, insulating concrete formwork (ICF) is rapidly gaining popularity as a method of construction. 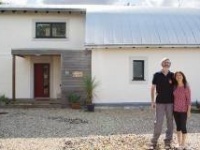 But what exactly is ICF, what are its key advantages, and why is it so well suited to passive house and low energy construction? As electricity supply from renewable sources continues to grow, and electricity grids gradually decarbonise as dirtier fossil fuels are phased out, heating homes with electrical technologies like heat pumps starts to make more sense. 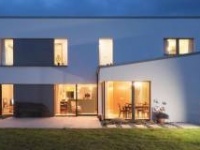 And in the mild, temperate climate of Britain and Ireland, air source heat pumps are particularly suitable — especially as new build standards of energy efficiency continue to tighten, meaning new homes need less and less energy to achieve comfortable indoor temperatures. 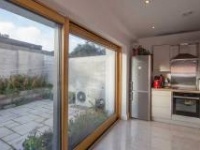 But how do air source heat pumps work, what types are there, and how much do they cost to run? Our in-depth guide attempts to answer the key questions. Building physics take no prisoners. 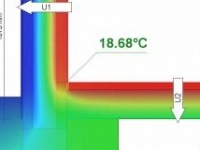 Anyone designing, constructing or upgrading the thermal envelope of a building to modern energy performance levels is duty bound to understand and minimise thermal bridging, or suffer the consequences. One-man thermal bridging encyclopaedia Andrew Lundberg of Passivate, who teaches thermal bridging analysis at Dublin Institute of Technology, gives some practical advice on why and how to tackle thermal bridging head on, and describes some of the leading innovations in thermally broken components.